When I was chained to a desk as cubicle captive, I was a slave to routine and punctuality and I lived and died by MS Outlook. It was great because it synched with my phone. Now that I’m free of the office shackles I need a calendar / organiser that works just as well. Yes, I could just use outlook, but it needs to be able to be accesses from anywhere. All I ask for is a well laid out calendar with a reminder feature. And what did I see? 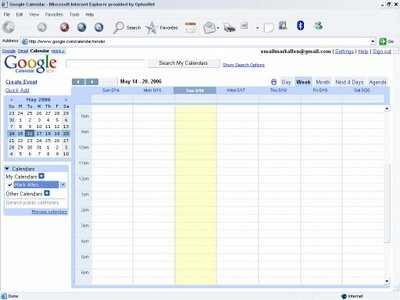 A ‘calendar’ tab. And yes, it is awesome, though I feel as though I’m not giving it even nearly enough kudos. I’m an organised guy and I’ve had many problems trying to find a decent calendar in the past (remember the milk, I’m looking at you!). So check it out when you next log into google. I’m not sure if you even need a gmail account. If you do, and you don’t have one, just let me know and I’ll send some gmail lovin your way. 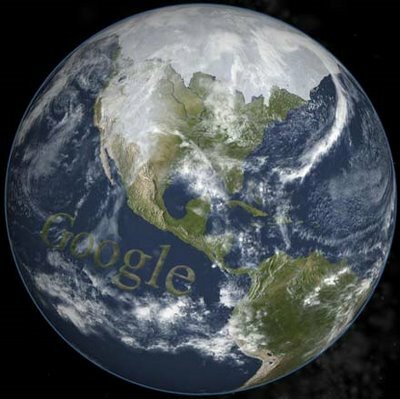 I’ve said it before and I’ll say it again, google’s going to take over the world, but it’s not a bad thing. How can a company be bad when their slogan is: “don’t be evil”? check out more google apps here. thanks to bart for the heads up.